Crystal strings and glass fruits adorn this collection giving it a precious and luxurious look. The gold leaf chandelier is perfect for larger rooms whilst the round lanterns would work well in corridors or smaller rooms. 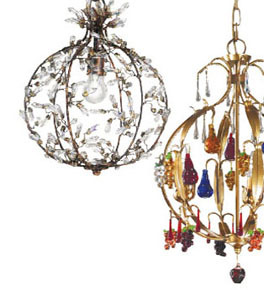 This collection includes pendants and chandeliers.